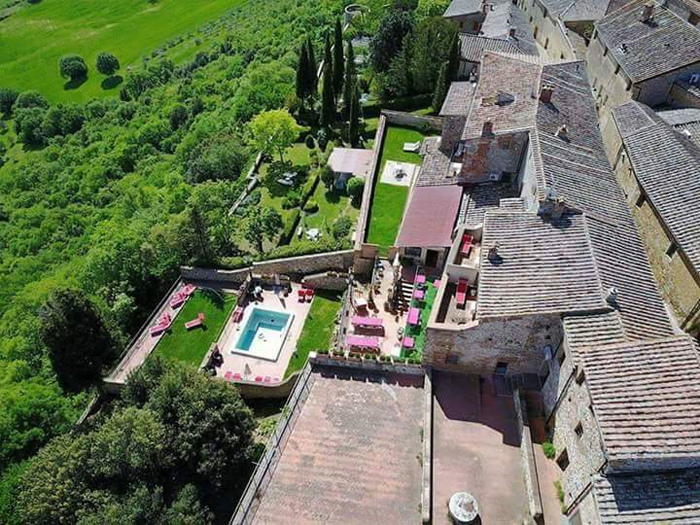 La Costa was the old village farm and was owned by the Marquis Scipione Bargagli, the Prime Minister under the Tuscan Grand Duchy Pietro Leopoldo II, as attested in numerous documents preserved by the present owners. The farm played a primary role in selecting and preserving the products of the various "estates", plots of land with a house alongside and run by a family of "share croppers" (the traditional Tuscan manner of running an estate: half the harvest to the owner and half to the worker), there being as many as 30 in the XVIIIth century, under the surveillance of a "bailiff" (a man trusted by the feudal lord-owner) as well as offering work for farm workers and, if needed, protection for the inhabitants of Montefollonico. 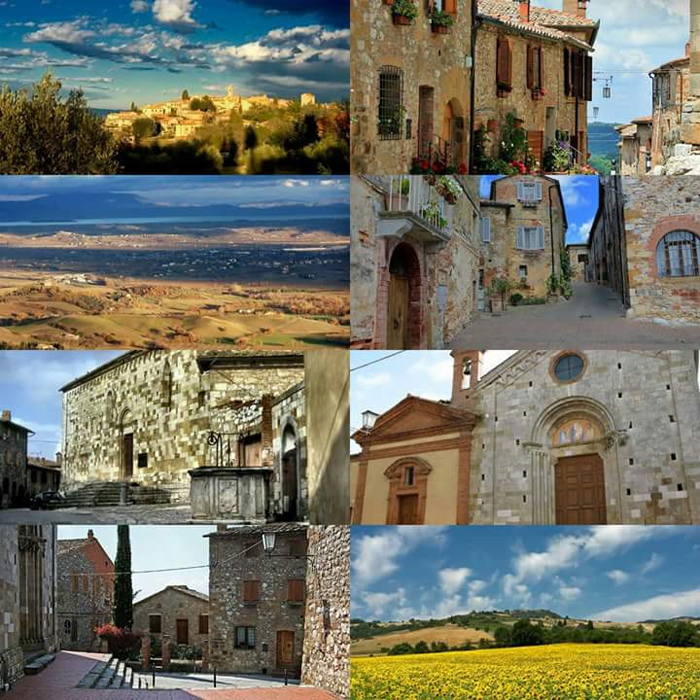 Montefollonico (576m above sea level) is a small medieval village whose raison d'�tre is found in the past rivalries between the republics of Siena and Florence; in fact the village was born as a Sienese fortress, against the "Florentine" Montepulciano. The first evidence of the area being inhabited dates as far back the Neanderthal man (approx. 60,000 years ago) with the Lithic tools found in the area of "Il Tondo" (now the public garden). In the following centuries we have accounts of a territorial dispute in the year 715 for the ownership of the church Pieve di San Valentino. The history of the village as such began in the XIIIth century with the foundation of the church Pieve di S. Leonardo by the Cistercian monks from the monastery nearby, who by dedicating themselves to fulling wool gave the village its name Mons a Fullonica. After various events Montefollonico was incorporated into the Tuscan Grand Duchy in 1555.